Combine an increase in running mileage with recovery time spent trolling the internet for new meal ideas, and you’ve got a recipe for trouble. 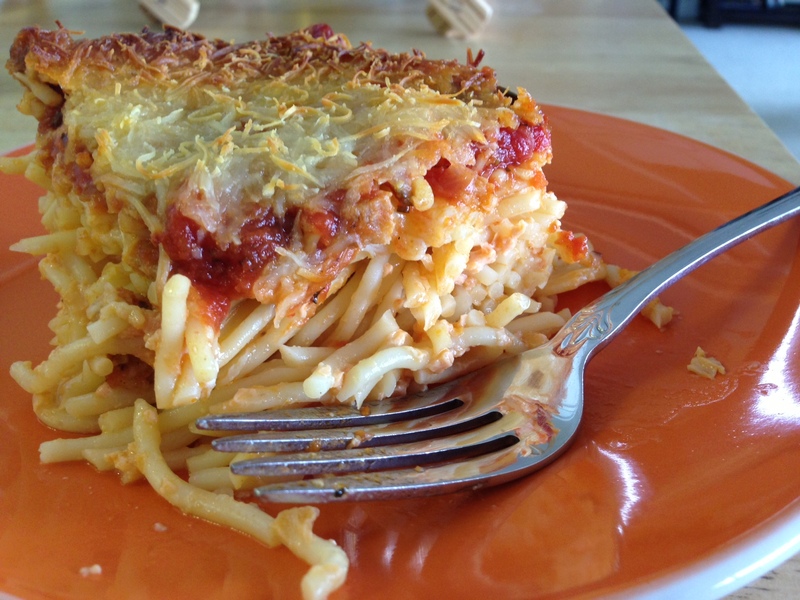 Needless to say, I found this recipe when a recent carb craving struck. It’s a perfect weeknight dish that can be whipped up with very little effort, thanks to the convenience of jarred pasta sauce, pre-cooked sausage and shredded cheese. Of course, I couldn’t resist, oh, quadrupling the amount of cheese (yes, seriously) and adding some sweet Italian sausage to spice it up a bit. The result? As delicious as it looks. And, bonus: Not only is there minimal-prep involved, but it’s also basically foolproof; as long as you can boil water, you’re good to go! 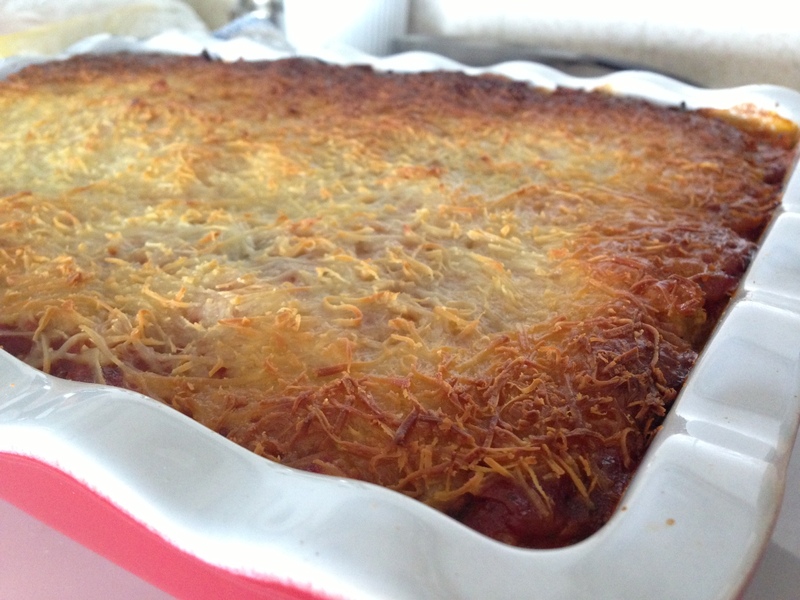 Place cooked spaghetti in a 9×13 baking dish, and sprinkle sausage and Parmesan evenly over the top. Beat eggs in a small bowl before adding milk, salt and pepper, then pour mixture over the Parmesan. Top with pasta sauce, and sprinkle with mozzarella. 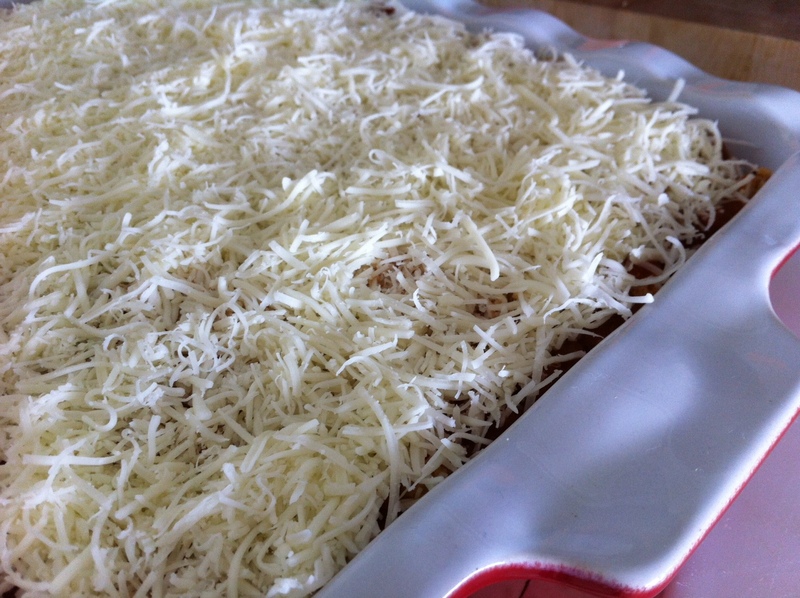 Bake until cheese browns and sauce bubbles, about 45-55 minutes. Let sit for 10 minutes before serving.